Known for decades as the “incubator” of mid-century modernism, Cranbrook continues to produce exceptional graduates in numbers that far outweigh its size. 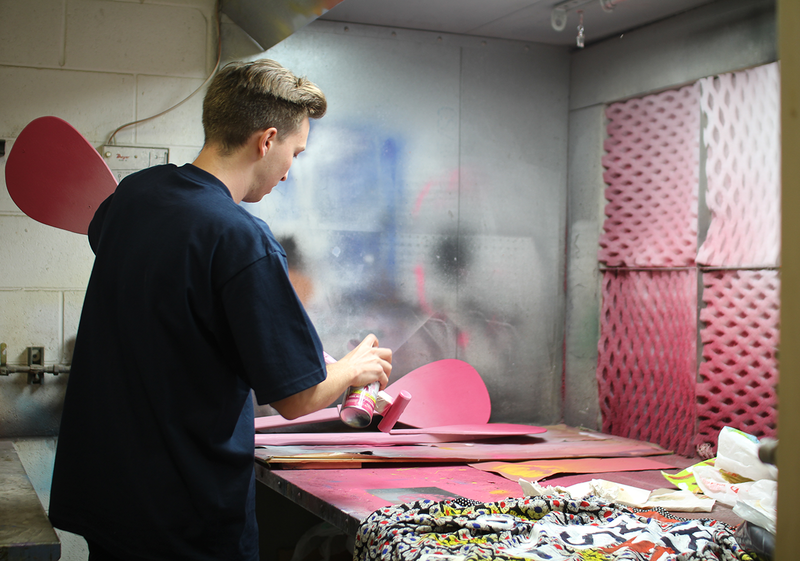 Founded as an experimental artists’ colony, the model has proven so successful over the years that it remains largely untouched – allowing motivated students to tailor their course of study to suit their needs in spaces that foster personal growth. Cranbrook Academy of Art is part of the larger Cranbrook Educational Community, a 319-acre campus that also includes a contemporary art museum, science museum, and a PreK-12 college-preparatory school. Founded by George Gough Booth and his wife Ellen Scripps Booth, the Booths looked to model the Academy after the American Academy of Art in Rome. Finnish architect Eliel Saarinen was hired to help with the master plan and design of the campus. The Booths had purchased the land in 1904, and spent the first years landscaping the property and building the family home, which was designed by Albert Kahn. Then they started to look toward the creation of public buildings specifically focused on the arts and education. Eliel Saarinen (1873-1950) was already well established as an architect in Finland when, in 1922, he entered a competition to design the Chicago Tribune Building. He won second place and used the prize money to immigrate to Chicago in 1923, eventually joined by his wife Loja (1879-1968), daughter Pipsan (1905-1979) and son Eero (1910-1961). Shortly after their arrival, he was invited to teach architecture at the University of Michigan in Ann Arbor, where he caught the attention of the Booths, whose son Henry was one of Saarinen’s architecture students. They engaged Saarinen as chief architect for the campus, and he ultimately designed Cranbrook School for boys (1925-1929), Kingswood School for girls (1929-1931), Cranbrook Institute of Science (1935-1938), Cranbrook Academy of Art (1925-1942), and Cranbrook Art Museum and Library (1938-1942). He also formulated the Academy’s curriculum and served as its first president from 1932 to 1946, headed its Department of Architecture and Urban Design from 1932 to 1950, and designed numerous non-Cranbrook commissions. Loja Saarinen (seated), Maja Andersson Wirde, Valborg Nordquist and Raghold Johnson. Courtesy The Detroit News and Cranbrook Archives. 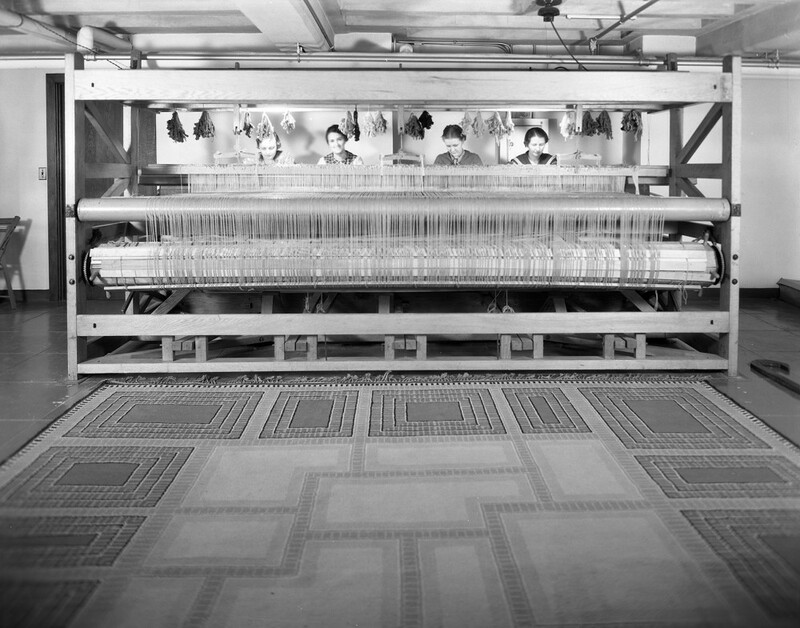 During the Saarinens’ time at Cranbrook, Loja had an equally important career as a textile designer. 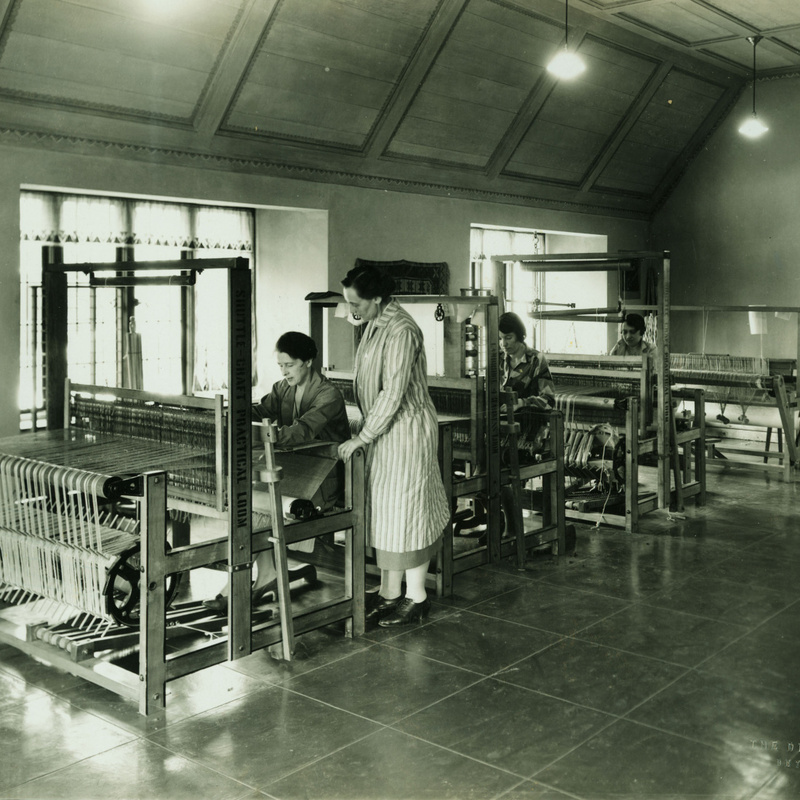 She founded and directed the Department of Weaving and Textile Design at the Academy (1929-1942), as well as Studio Loja Saarinen (1928-1942), a separate business that wove her textile designs, including commissions for the buildings that Eliel designed on the campus. 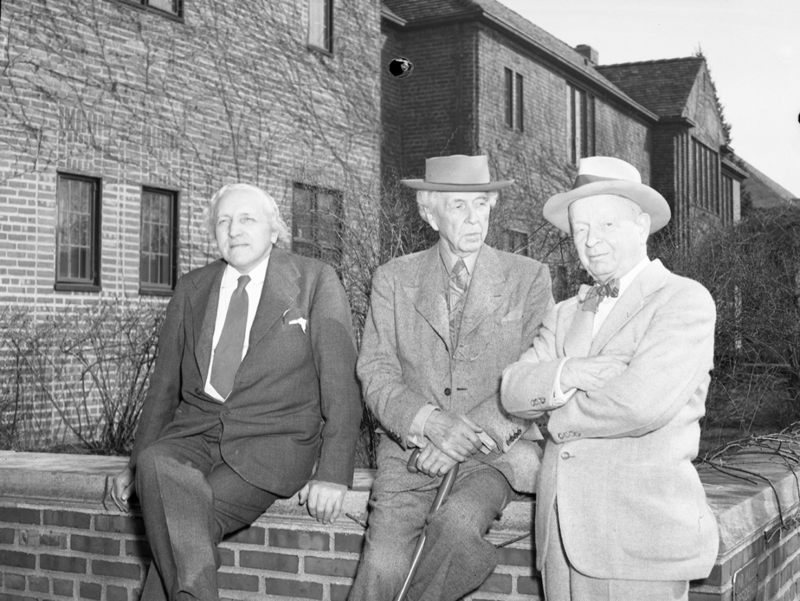 Carl Milles, Frank Lloyd Wright and Eliel Saarinen at Cranbrook. Photograph by Harvey Croze. Courtesy Cranbrook Archives. The Booths were inspired by the vision of the Arts and Crafts movement, which appealed to them aesthetically and morally. They hoped its influence would banish tasteless, mass-produced goods from American homes. They believed that craftsmanship would result in superior products, and Cranbrook would come to support these ideals to achieve something of lasting value and significance. 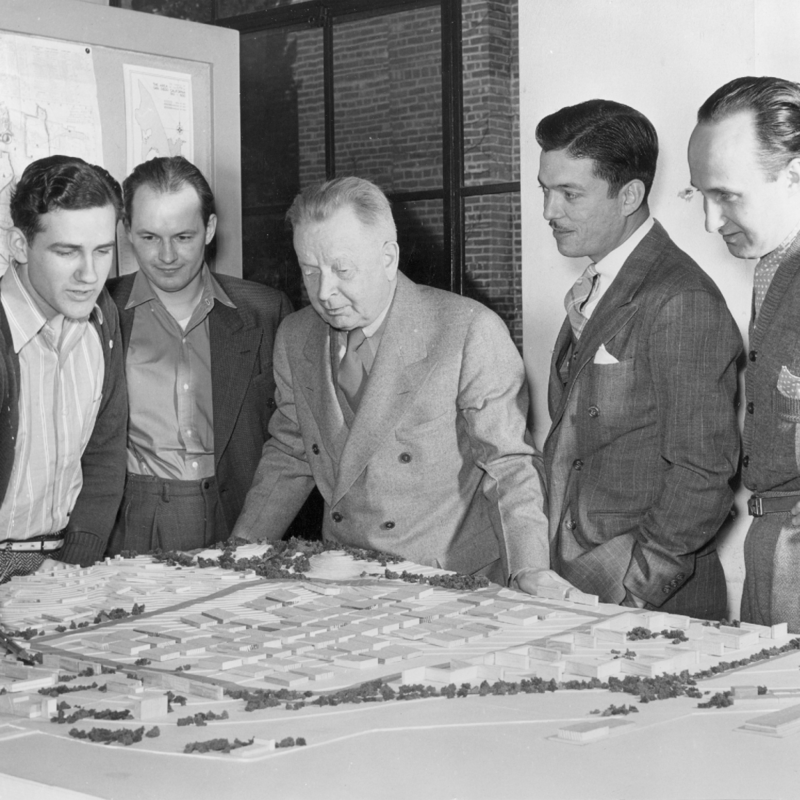 Eliel Saarinen with Architecture students. 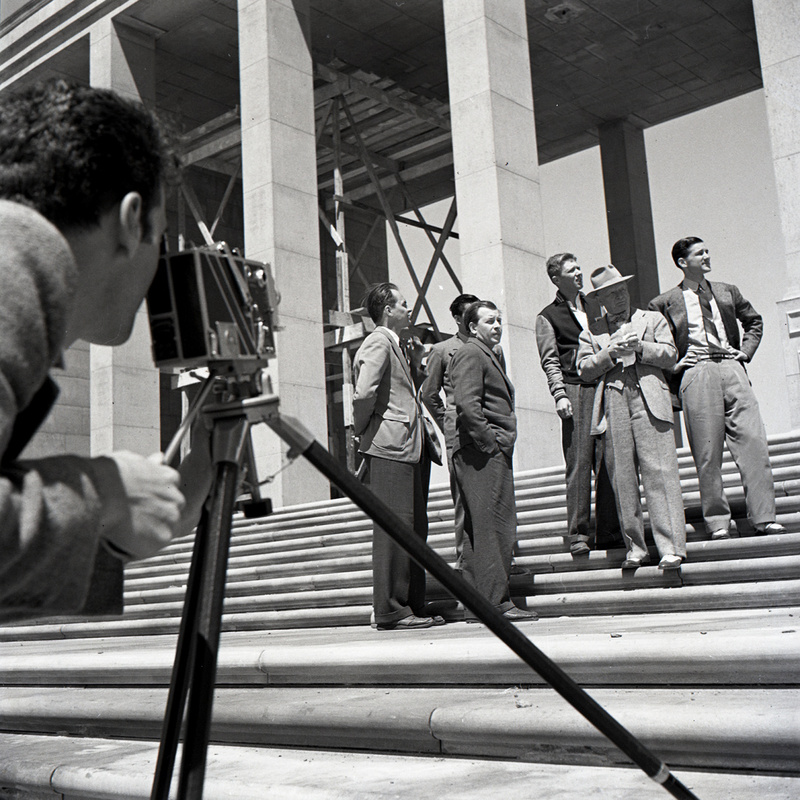 Charles Eames is behind the camera, 1941. Courtesy Cranbrook Archives. 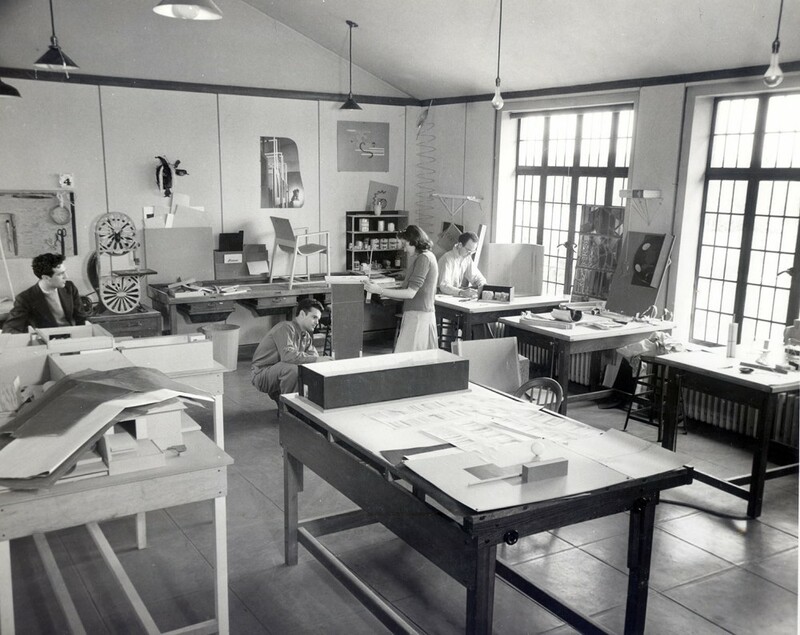 When informal art education began at the Academy in the late 1920s, it was happening in studios built for the artists and craftspeople working with Saarinen on the campus. Even after it was officially sanctioned in 1932, Saarinen continued to design new buildings for the campus with Academy student apprentices. Today, the campus is a National Historic Landmark, and is considered the most complete example of Saarinen’s genius. It is an architectural and horticultural treasure where Academy students are inspired to write their own history in an environment of beauty and innovation. All historical photos are courtesy of Cranbrook Archives. 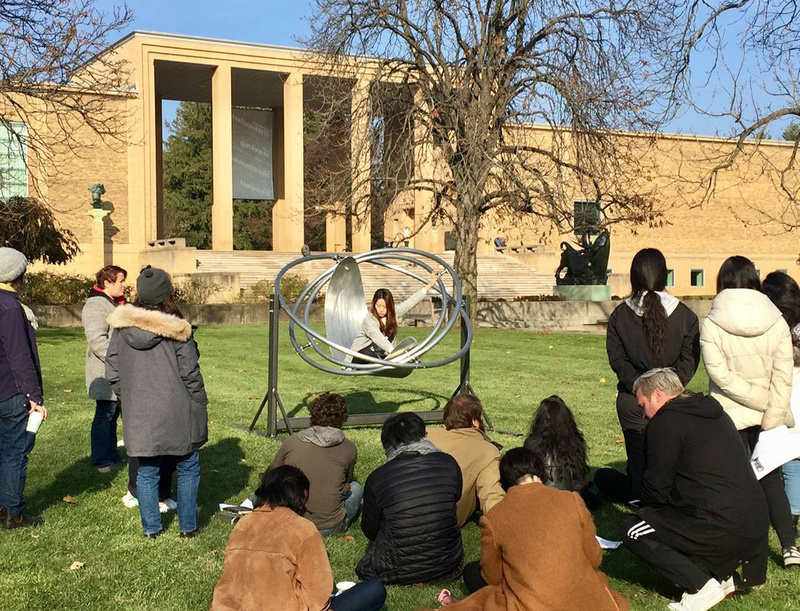 “Saarinen wanted students to be able to envision, create, and understand all aspects of design, from architecture to furniture to metalworking, and to engage in experimentation. Thus the campus and curriculum were created as a massive laboratory for the graduate students, giving them free rein to work as they pleased.” Curbed, 2015. It remains largely the same today. The spaces that inspired Charles and Ray Eames, Harry Bertoia, Florence Knoll, Jack Lenor Larsen, Donald Lipski, Duane Hanson, Lorraine Wild, Nick Cave, Hani Rashid, and so many others continue to do so year after year. The artists’ colony that was once a grand experiment has fully cemented itself as part of the foundation of American design.